“Hello, I’m back. I kept my promise”. Those were the first few words my blogging brother and very good buddy Tuan Haji Sebiji Bata Dalam Tembok uttered when he called me at 2103hrs, as soon as he got off Saudi flight SV 54oo in KLIA. I thanked God he completed his Hajj and came back in one piece. I made him to promise that he would come back after his Hajj, when I send him off at Tabung Haji Complex on 9 October. He wasn’t in perfect health when he left to fulfill the fifth tenet of the pillars on Islam although he was mentally geared up for the whole works. In fact, he had a very bad cough when he arrived in Mekah from Medinah. He never recovered from the cough and it developed into bronchitis. He had to be treated like having acute asthmatic attack and was hospitalised for four days in a Tabung Haji dedicated hospital for respiratory diseases 5km outside Mina. All I could do then is to offer my prayer for afar. I am so thankful to Allah s.w.t. for allowing my friend to keep his promise to me. Earlier this morning, I spoke to Tuan Haji Faisal Roban of RBF online. He just came back too. I am so happy for him and his love ones. 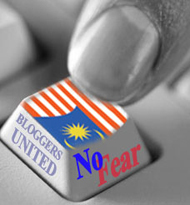 Soon, another blogger Tuan Haji Zainol Abideen will come home too. 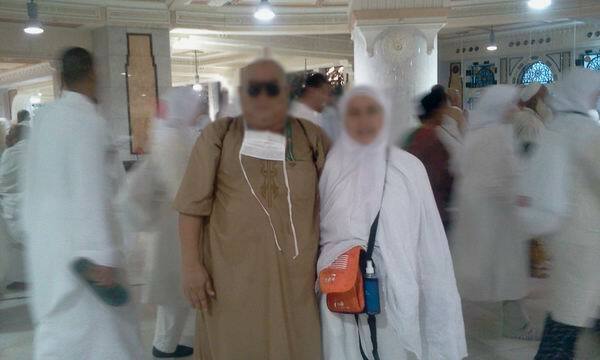 We are so thankful that you guys completed your Hajj and came back to your usual lives. bro, aku tengok dia sebijik macam prof serba tahu dalam majalah gila-gila. alhamdulillah, they are all haji now….